To be clear, Al- Azhar Institute has no representation, honorary or otherwise, in the Egyptian parliament. In June this year, Justices Alito and Kennedy of the U.S. Supreme Court agreed in their separate opinions for Matal v. Tam that there is no “hate speech” exception to the first amendment of the constitution. In other words, “hate speech” is free speech. In that same month, Egypt’s parliament found a new hate speech bill placed before them for review. It is likely Egypt’s legislators will not take their lead from the United States but follow the footsteps of Germany, United Kingdom, The Netherlands, France and Denmark, to turn the bill entitled, “Combating Hatred and Violence” into law. The vote is scheduled to take place in the near future. However, before any vote takes place, the Egyptian parliamentarians must address the origin (the writers) of the introduced bill. The bill — which has 16 articles in three sections — was not written by any member of the elected body but by an outside entity. Committing an unconstitutional and illegal action, the Al-Azhar Institute wrote and submitted to parliament the proposed “hatred” bill. Egypt’s parliament is currently aiding and abetting the illegality by considering the proposed bill. Next, they will buckle under the same pressure to rubber stamp it. Just watch. A hate speech law crafted by Al- Azhar may, in its own view, be very effective in “renewing” Islamic culture for, rest assured, it will favor Islam above the others. The language of the drafted bill is generic and abstract with the intent to exact that favor. Vagueness is subject to interpretation by those in charge. For example, the proposed bill states it is, “Protecting the community from attempts to indoctrinate false concepts that may emerge among its members and affect the facts of their religion in a manner that incites hatred.” “Community” is not defined, and this makes non-Muslim segments jittery. Are the indoctrinated “false concepts” affecting the “facts of their religion” pertaining to truths spoken about Islam and Sharia? — Probably. At a time when Al- Azhar Islamists are under much criticism, the ambiguity of the bill, if passed, will muzzle thinkers and intellectuals and stifle expression more so than now. With this maneuver, Al- Azhar ar shows that its aim is to govern behavior and gain more power over personal lives. Nothing short of a move to reverse Egypt’s constitution regarding free speech, Article 4 of Al- Azhar’s “Combating Hatred and Violence” bill incorporates an end to any opposition to the proposed bill once made into law and, in this case gets very specific: “It’s not permitted to invoke freedom of opinion and expression, criticism, freedom of information, publication or creativity against any statement or action involving anything contrary to the provisions of this law.” To the contrary, Article 65 of the current 2014 Constitution states that “Freedom of opinion is guaranteed and everyone has the right to express his or her opinion by speech, writing, photography or other means of expression and publication.” The two are at odds. A thousand years old, Al- Azhar has an institutional memory of the freedoms’ and rights’ environment for centuries in Egypt prior to Nasser’s decision to nationalize personal property and pour the proceeds into the coffers of Al-Ahzar. Tipping the scales in this way set up society for the battle against freedoms and human rights. In response to the negative popular reaction in May 1879 to the emerging abuses of political and religious powers, Egypt’s 1923 Constitution came about 45 years later. It stated that the Egyptian parliament is the only “legislative authority” and that no religious institution can have that same role — referring to Al- Azhar Institute and the Coptic Orthodox Pope. Although the 1923 Constitution is now expunged, this point, fortunately, carried over to the current 2014 Constitution. With its aggressive overreach (an unsolicited and illegally proposed “hate” bill) to increase the presence of Islam throughout a diverse population (secularists, liberals, atheists, Christians of various denominations and Muslims), the Al- Azhar deep state unveiled its true intentions. 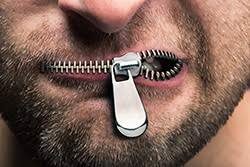 Instead of reviewing its own internal policies regarding religious teachings and preaching, which would alleviate oppression in Egypt and around the world as well as pressure on the devout, it rides the trend rising in Europe to suppress free speech and ingrain 7th century doctrine. The powerful Al- Azhar deep state is shoring up its position to hold and penetrate fundamentalism in many ways, building momentum over time. After rejecting Al-Sisi’s plea for reform of Islamic doctrine and ignoring the possibility of school textbooks revision, Al- Azhar Institute created the kiosk project to disseminate religious edits (“fatwas”). Shortly after, Al- Azhar vocalized its contempt for Tunisia’s modernization of ancient religious traditions, and most recently remained silent on the Egyptian state’s campaign against female genital mutilation (FGM). Furthermore, Al- Azhar has never condemned ISIS or any act of Muslim terrorism against Christians in or outside of Egypt.